Comrade Kobina Bantushango, Southern Regional Leader and Spear sales champion! The competition concluded on January 7, after a month of competitors being out on the streets putting the “Voice of International African Revolution” into the hands of the community. This competition was open to everyone, and had 26 contestants all vying for the top seller position. The prizes at stake were a limited edition 50 Year Spear Anniversary t-shirt, an article featured in the print and online Spear publication, their first February Spear bundle free-of-charge and of course, bragging rights! The victor of the most recent competition was the Southern Regional Representative, Kobina Bantushango, who sold 300 newspapers from December 1 to January 7. A daily task for all members of the Uhuru Movement is to sell The Spear, as it is defined as the most powerful organizing tool in the arsenal of an African Internationalist. As the leader of the largest region in the African People’s Socialist Party (APSP), Kobina has shown a tremendous amount of dedication towards The Burning Spear and expects nothing less from those who fall under his leadership. There is very rarely a time where you catch this Comrade without a bundle of Spears and a solid goal of how many to distribute to the masses. 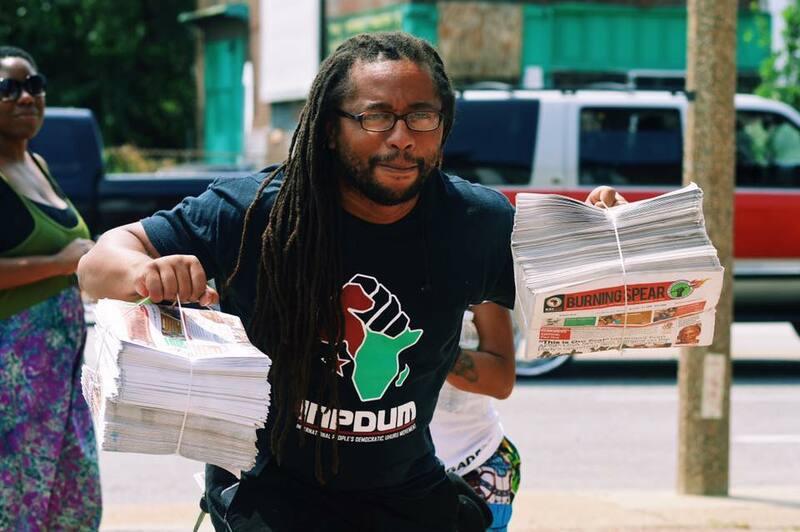 The Burning Spear newspaper congratulates Kobina for his victory and his outstanding accomplishment of selling 300 Spears in a month, and encourages everyone everywhere to sell the Spear all the time! You can start today by visiting burningspearmarketplace.com and ordering a distributor bundle, become a monthly subscriber, or sponsoring a prisoner so that our brothers and sisters behind prison walls can receive the paper for free. Thank you to all who entered the sales competition and keep a close eye for future announcements of our next one!